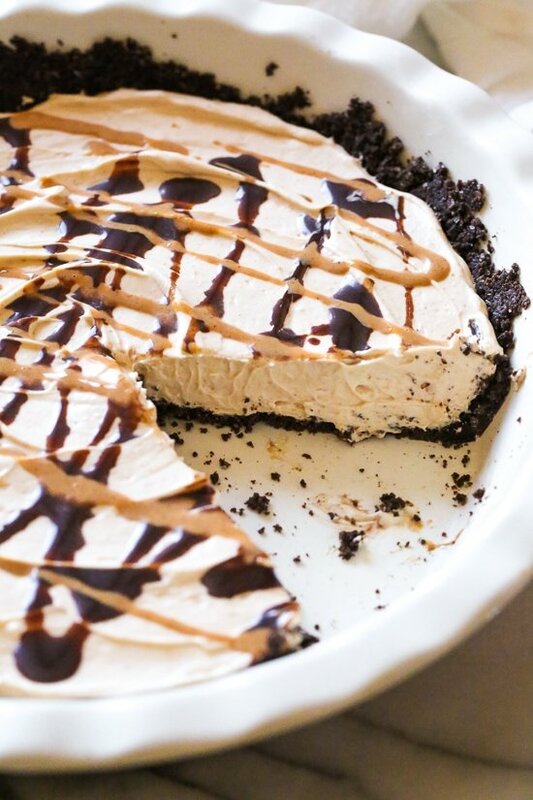 This easy No Bake Peanut Butter Pie is light and creamy – one of my favorite dessert recipes! 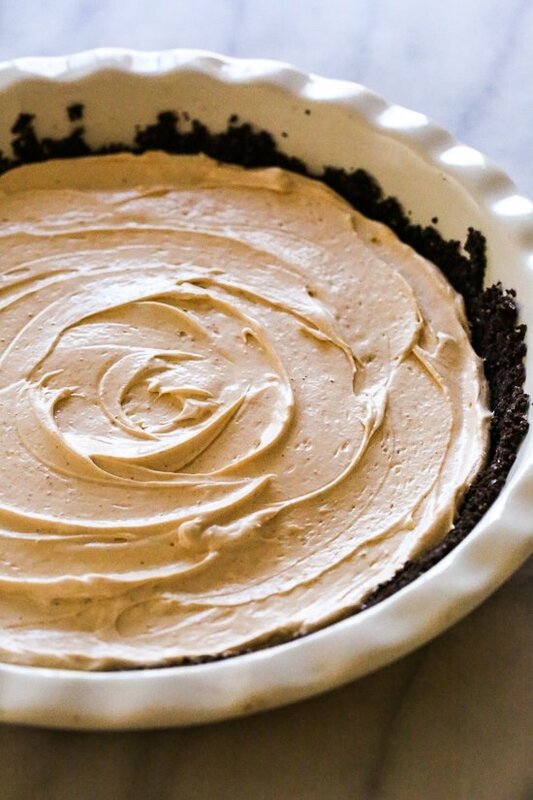 Whip this up in minutes with a prepared graham cracker crust for a no-bake dessert, or make your own graham cracker crust for prettier presentation (this method would require baking). 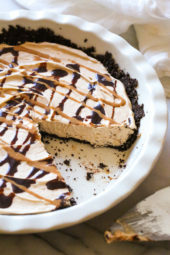 Although I don’t have the biggest sweet tooth, I do have a weakness for pie, especially peanut butter pie! This recipe hits the spot when I have a craving. 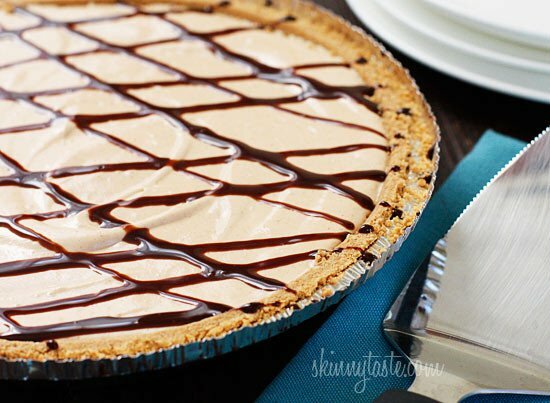 To lighten this pie, I used Better n’ Peanut Butter which I usually buy at Trader Joe’s, but you can also get it at Target or amazon. I have not tried the with PB2, if you wish to use it instead, prepare the PB2 with water as instructed then measure it prepared and use it in place of the the Better n’ Peanut Butter. When I originally created this recipe in 2013, Weight Watchers had a different point system. Once they switched their points over to their new Freestyle, the points for this pie increased quite a bit so I made small tweaks by reducing the sugar and using less cream, and turned this into 12 slices instead of 10. I tried it yesterday, and it was heavenly bliss (I’m taking the rest to my friend’s superbowl party)! I could probably cut the sugar down even more without missing it. 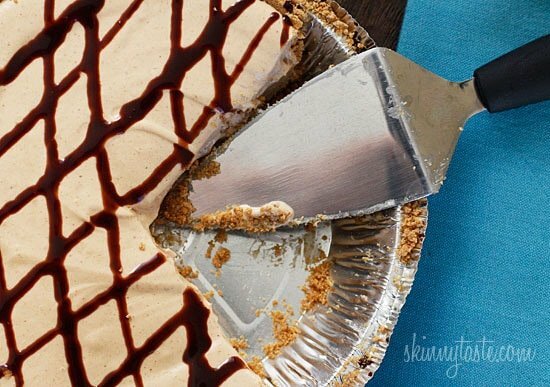 I found this 12 cut pie cutter online which I think is pretty cool and helpful to make cut your portions smaller. 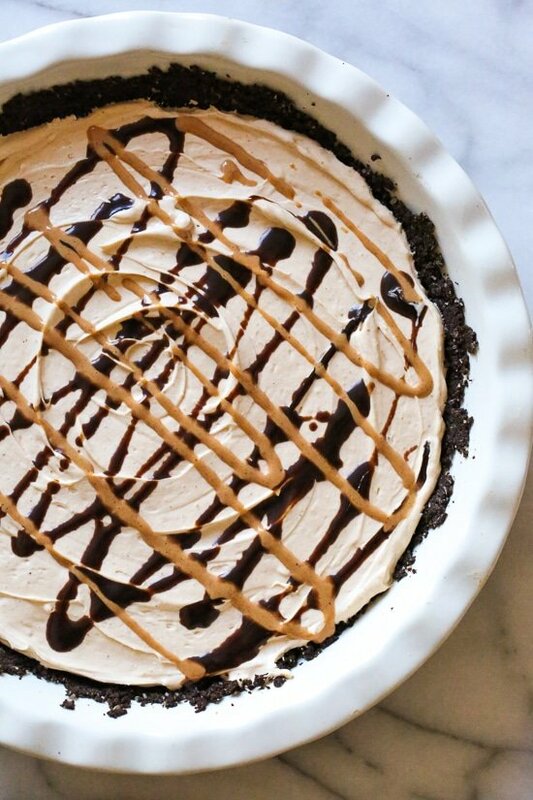 I can’t even imagine how many points a traditional peanut butter pie would be, my guess is a lot! Hope you enjoy and if you try it with PB2, I’d love to know how it tastes! Note: You can make this ahead and keep covered and refrigerated 3 to 4 days. This would also be great as shooters, put some graham cracker crumbs on the bottom, then fill small glasses with the cream like I did with these Maple Cheesecake Dessert Shooters. This Skinny No-Bake Peanut Butter Pie is light and creamy and ever so addicting! 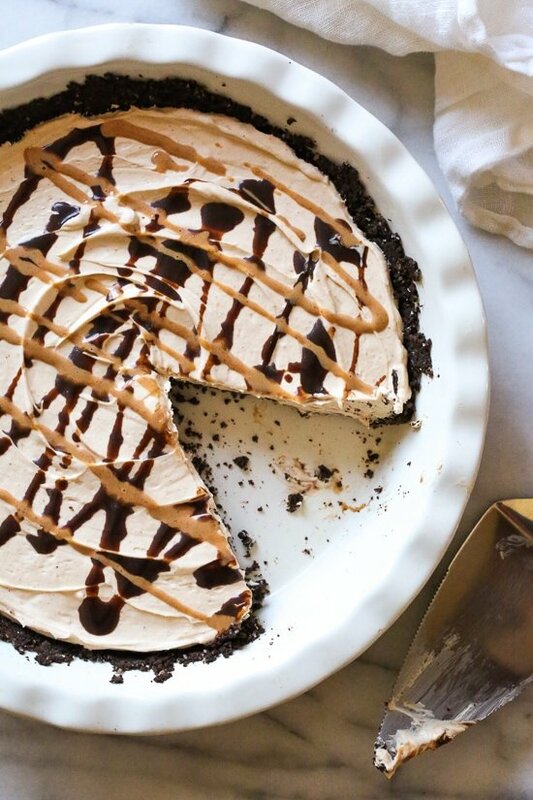 Whip this up in minutes for a dessert everyone will love! 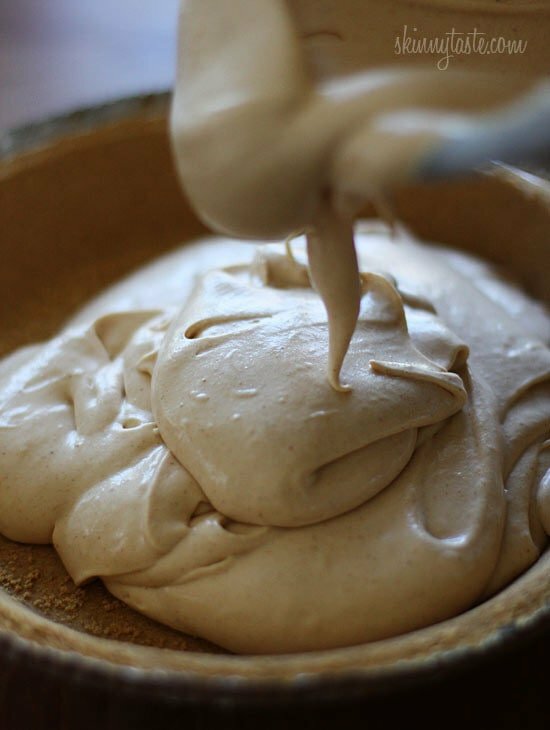 Beat cream cheese and confectioners’ sugar together in a medium bowl. 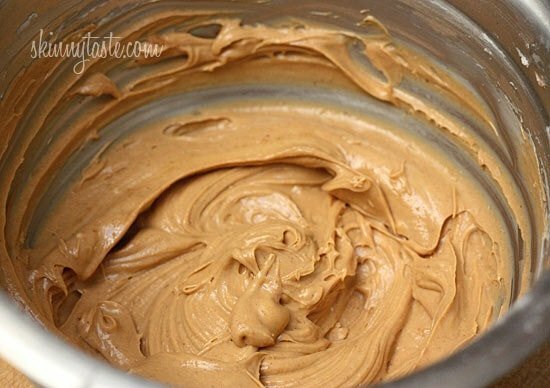 Mix in Better ‘n Peanut Butter and beat until smooth. 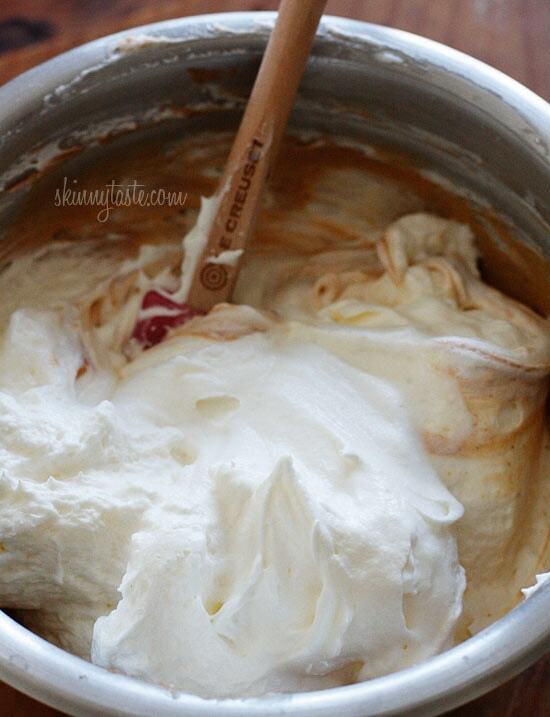 Fold in whipped topping. 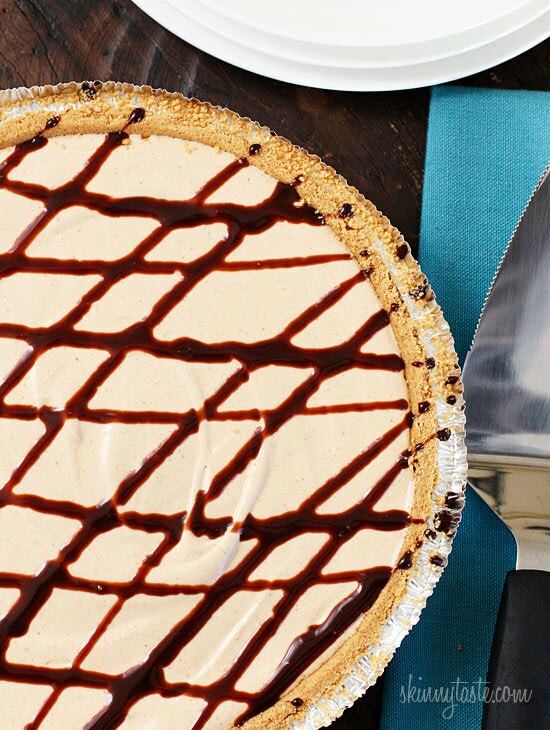 Spoon into graham cracker pie shell; cover, and refrigerate until firm, at least 2-3 hours. Drizzle with chocolate syrup before serving.